Andrew Hebda is our Curator of Zoology. He began his career with the Department of National Defence, holding a number of administrative and command appointments from 1971 to 1985. While serving, Andrew completed his B.Sc. at Carleton University and his M.Sc. at York University, both in Biology. He went on to work as a biologist in a variety of positions in both the public and private sectors. 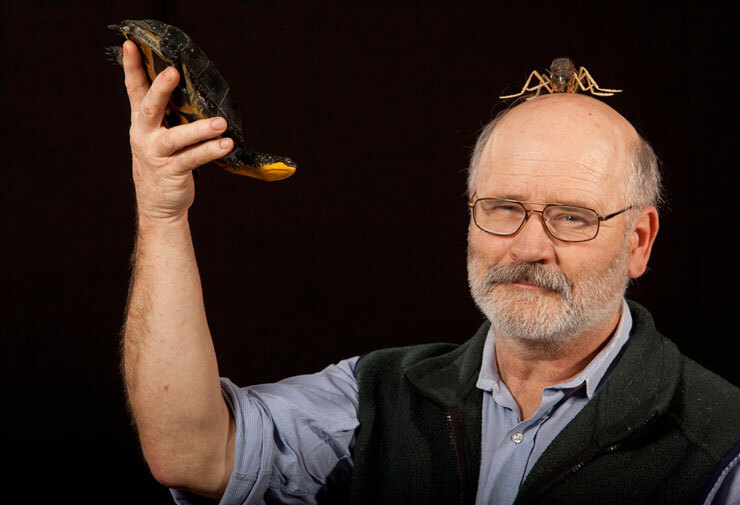 He became Curator of Zoology at the Nova Scotia Museum in 1995. Andrew enjoys the range of opportunities afforded by his museum work. On any given day, he might find himself studying any number of fish, molluscs, insects, mammals, reptiles or amphibians. He has done extensive research on fish and fish habitat, but is currently focussing on “at-risk” Molluscs.